During a three-week period, the scientists collected spiny damselfish from reefs off Lizard Island located on Australia’s Great Barrier Reef. The fish were separated into two groups—those exposed to ordinary CO2 “control” conditions and those exposed to elevated CO2 levels that are predicted to occur in the near future, but have already been observed in many coastal and upwelling areas throughout the world. Following the exposure, the fish were subjected to a behavioral test, and brain and blood chemistry were measured. The researchers found that the damselfish exposed to elevated carbon dioxide levels were spending significantly more time near the chemical alarm cue than the control fish, a behavior that would be considered abnormal. The measurements of brain and blood chemistry provided further evidence that elevated CO2 caused the altered behavior of the fish. 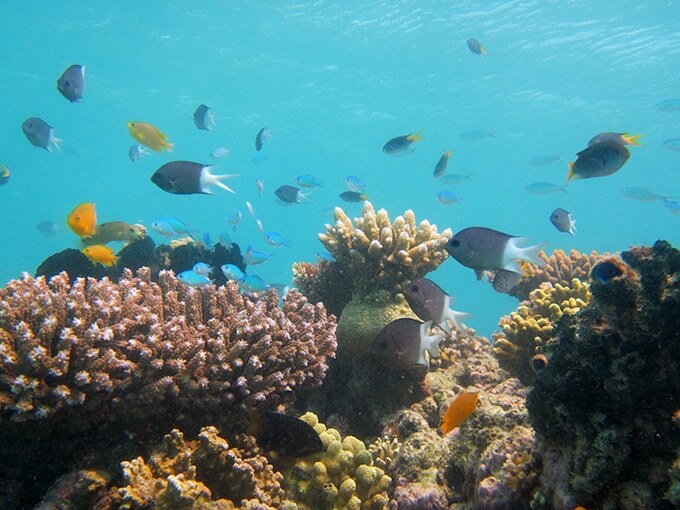 The study, titled “Altered brain ion gradients following compensation for elevated CO2 are linked to behavioural alternations in a coral reef fish,” was published in the Sept. 13 online issue of the journal Scientific Reports. The study’s co-authors include: Rachael Heuer; Martin Grosell; Megan J. Welch and Jodie L. Rummer and Philip L. Munday from the ARC Centre of Excellence for Coral Reef Studies at James Cook University. The National Science Foundation, a University of Miami Koczy Fellowship, and the ARC Centre of Excellence provided funding support for the study. Heuer was also funded by an NSF Graduate Research Fellowship to conduct the research.